If your new app accepts voice commands, say “OK Glass…” You see a menu of commands for starting various apps. 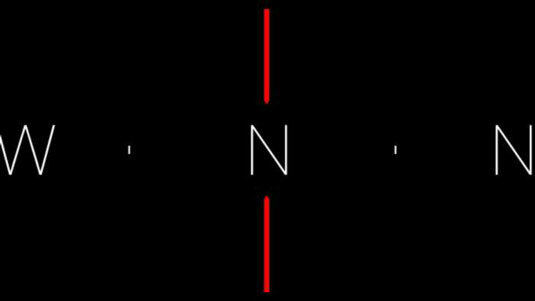 You can scroll through the list by moving your head up and down until you see the command you want. Start the app by speaking the command you see onscreen. Tap the app’s card in the timeline. 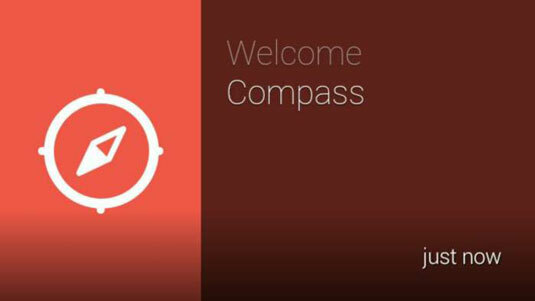 If you download and install the Compass app, for example, you start it from the timeline by saying “OK Glass, start Compass.” The Compass app screen appears, showing the direction in which you’re facing. At this writing, the Glassware page of the MyGlass website doesn’t include user reviews. But there’s an easy way to find out what apps other Glass users are using and what they think of those apps: Visit the Google+ website. 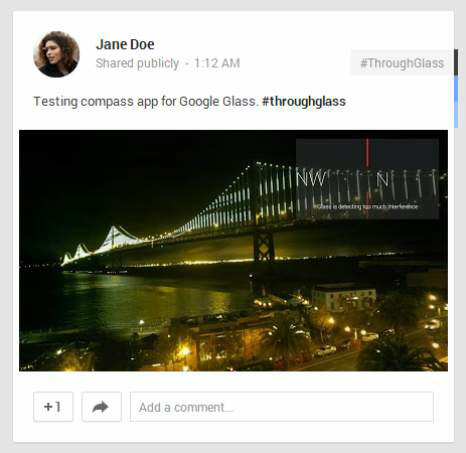 When a Glass user shares pictures or video of a running Glass app in a Google+ post, the hashtag is added to the post automatically. So the next time you visit Google+ on your computer or smartphone, search for #throughglass, and you’ll find a lot of posts by other Glass users. If you want to connect with a specific user after reading his post about a Glass app, you can follow that user by clicking or tapping his name in the post and then clicking or tapping Add to Circles on his profile page.